Coach Joel Cockley began his coaching career in 1972 at Lexington High School. In 1979, he was hired at Dover High School and guided the Tornadoes to a perfect 10-0 record. The State of Ohio named him “Division I, Ohio Coach of the Year”. That year Coach Cockley received eleven (11) different state and local “Coach of the Year” honors. After just one year at Dover, Youngstown State University hired Joel as the Offensive Coordinator under then head coach Bill Narduzzi. He came to Alliance in 1981 when he was hired as the Aviator’s Head Football Coach. A rebuilding job took place quickly, when in 1983 the Aviators went 10-0, for the only time in school history, winning the Federal League Championship and going to the Division I State Play-offs for the first time in school history, where the Aviators were defeated by Akron Garfield. Stark County named him “Coach of the Year” and again he coached in the North vs South, State of Ohio All-Star game. The Aviator’s won the Federal League Championship again in 1986. Leaving the Aviator’s in 1989, Cockley became an assistant coach at Mount Union College, helping the Raiders win their first National Championship in 1993. 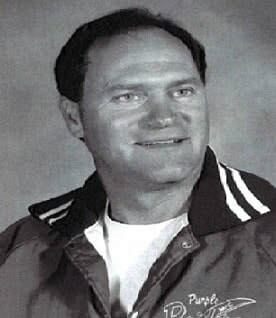 In 1995, Cockley was again named AHS head football coach. 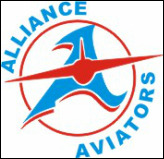 In 1996 the Aviators won the Federal League Championship with an 8-2 record. The team faced Akron Buchtel in the Division II State Play-offs that year. Coach Cockley was again named “Stark County Coach of the Year.” Joel Cockley spent a total of fourteen (14) seasons as the Alliance Aviator’s Head Football Coach. He returned to the Mount Union College Purple Raiders in 2000, where he coaches today. Coach Cockley has been part of five more National Championships at Mount Union.